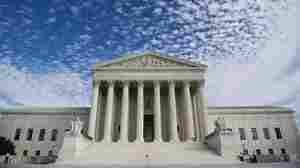 April 29, 2014  In a case that reaches into almost every American's pocket or purse, justices struggled over whether police can search cellphones without obtaining a warrant at the time of an arrest. April 29, 2014  Police have long been able to search people without a warrant at the time of their arrest. 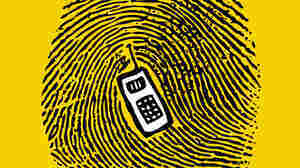 Two cases before the Supreme Court ask whether cellphones should be off-limits until police get permission. April 28, 2014  In 2006, the Supreme Court said public employees have no First Amendment protection for speech "pursuant to their job duties." 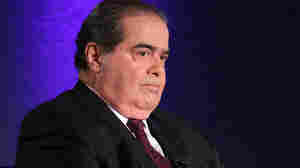 But Monday, in a case about criminal testimony, justices seemed dubious. April 28, 2014  Monday the Supreme Court hears about a man who was fired after testifying against a state lawmaker. The case on public employees' right to speak out could impact future corruption investigations. April 22, 2014  The court ruled that police can stop and search a driver based solely on an anonymous 911 tip. The 5-4 decision split the court's two most conservative justices. 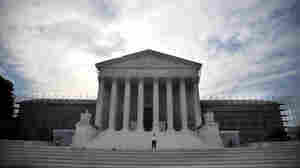 April 22, 2014  By a 6-2 vote, the Supreme Court upheld a voter-approved measure in Michigan that banned the use of race or gender in deciding admissions to the state's public universities. 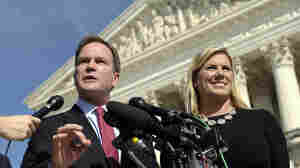 April 22, 2014  The U.S. Supreme Court hears arguments Tuesday testing whether states can make it a crime to lie about candidates during an election campaign. April 7, 2014  The Project on Fair Representation is looking for college applicants willing to challenge Harvard University, the University of North Carolina, Chapel Hill, and the University of Wisconsin, Madison. 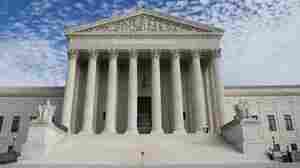 April 3, 2014  The Supreme Court on Wednesday took out a major pillar of campaign finance limits. 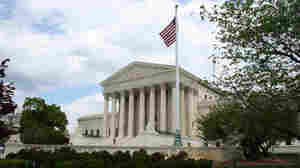 The justices ruled a donor may give the maximum amount to as many federal candidates or committees as they wish. April 2, 2014  A divided Supreme Court eliminated the overall limits on a donor's contributions to federal candidates and campaigns, while leaving in place the limit on what a donor may give to one candidate.